Chad Knaus and Jimmie Johnson will have at least two more years working together. 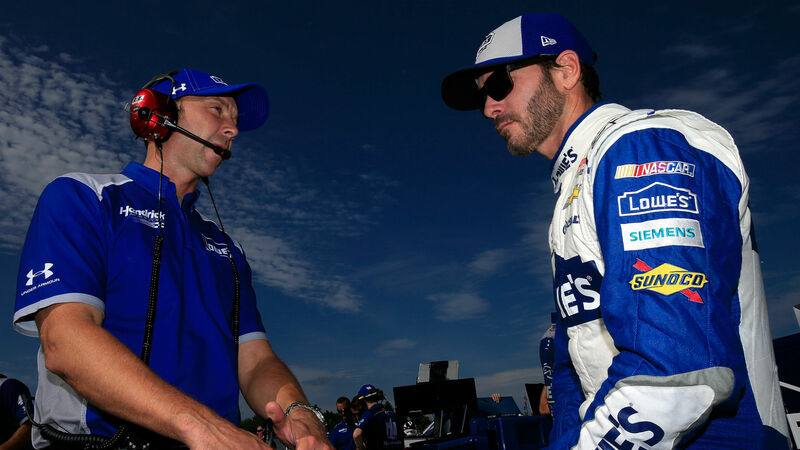 Knaus told ESPN in an interview Saturday he has signed a two-year extension to stay with Hendrick Motorsports and will keep working with Johnson on the No. 48. Knaus’ contract was set to end after the 2018 season. The duo have worked together for 17 years and Knaus’ new contract will take him through the 2020 season. Even though the No. 48 car has seen much success with Johnson behind the wheel as he has tallied seven NASCAR Cup Series titles, the veteran driver has been struggling to win lately. Johnson and his team are currently in the longest winless streak of his career. “Obviously, Jimmie and I, although we are going through a bit of a slump right now, we have a great time racing together,” Knaus told ESPN. “We have a long relationship and enjoy everything 48. … It was pretty easy [to stay]. Knaus still believes Johnson, who hasn’t won in 41 races, can get back to the top of the standings and bring home another championship. “In years past, it was maybe more just focusing on next week, but I’d be foolish and lying to not admit the fact that to get eight championships to put Jimmie on a pedestal by himself at the top of the standings with championships is a huge desire and something I definitely want to try to achieve,” Knaus added. Johnson has already signed with Hendrick through 2020. The team’s primary sponsor Lowe’s has also announced it will leave NASCAR after this season.